It was the ducks’ fault. A snowy-feathered, orange-beaked congregation of them was gathered far too picturesquely around the pond at Lord’s Guest Lodge for us to simply pass by after finishing breakfast. Many snaps of the smartphone camera later, we were running quite behind schedule for the blink-and-you’ll-miss-it McGregor Saturday morning market. ‘Don’t be silly!’ admonishes Heidi Muller, our impromptu welcome wagon from the McGregor Tourism office, as we rush on to the village green spilling apologies. ‘You’re on McGregor time now – there’s no such thing as late.’ She’s right, of course. 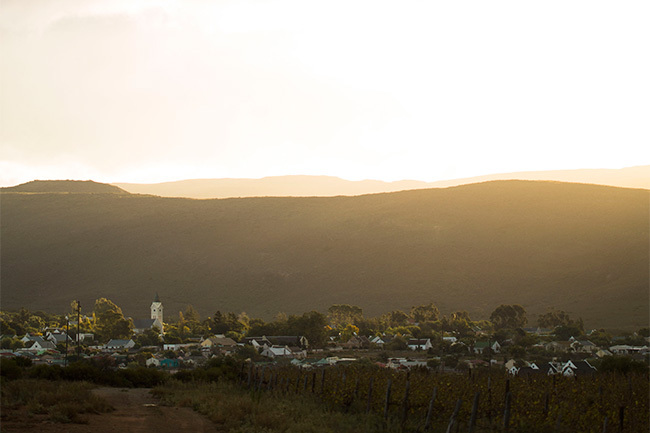 All of South Africa’s small towns offer a much-needed return to the slow lane, but McGregor has it down to a fine art. When we’d arrived the previous evening just before sunset, not a soul was about. Laid out in a neat grid just five streets wide, the town itself took all of 30 minutes to meander around, including stopping to admire all the beautifully preserved Victorian cottages and iceberg roses in every second garden. A tumbleweed floating down Voortrekker Street, the main drag, made me wonder if this wasn’t some elaborate village-wide practical joke. Then, on the next corner, three teenage boys who wouldn’t have looked out of place at a nightclub were racing home-made go-karts down the hill, the anachronism so much more convincing than any marketing spiel about slow living ever could be. In comparison to the previous night’s desolation, this morning’s market is practically bustling. In the shadow of the town’s church steeple we load up with home-made lemon cordial, Jerusalem artichokes, tree tomatoes and fresh greens, labneh, pâté, huge bags of pecans, a jar of honeyed almonds and freshly brewed ginger beer. Since 10 am seems a little indiscreet to be visiting wineries, we do the next best thing: an organic, pressed grape juice tasting at Villagers, a bright, quirky little shop on Voortrekker that also functions as an outlet for Rhebokskraal Olive Estate, which is just outside of town. 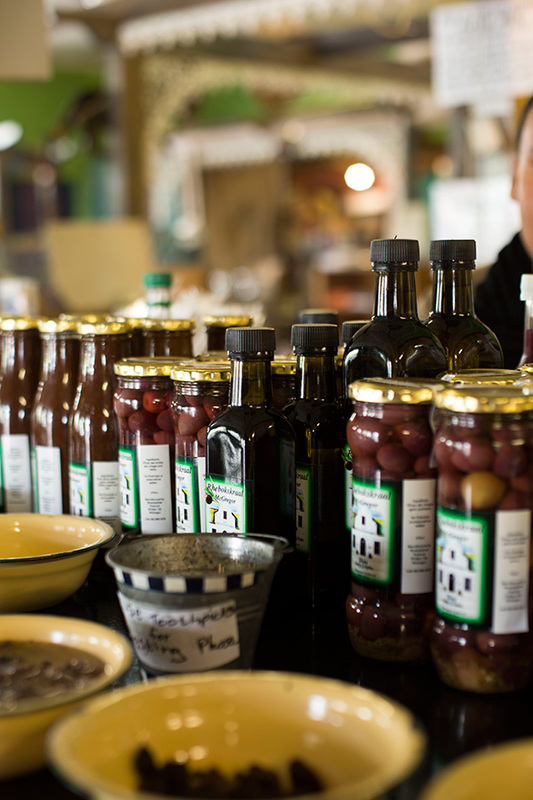 Pinotage, Cabernet and Hanepoot juice all feature, and you can while away a goodly amount of time with the array of tapenades and olive products available for tasting. Half an hour later, we’ve given up on appearances and are bumping along the dirt road to Lord’s Wines. 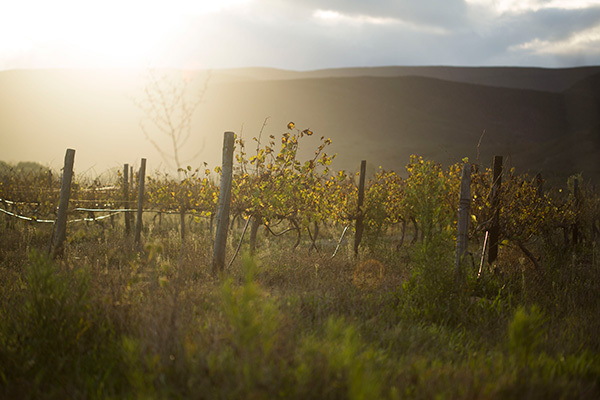 One of five estates on the relatively small McGregor wine route (the others being Buffalo Creek, Kingsriver, McGregor Winery and Tanagra), Lord’s enjoys a cool climate thanks to its position 500m above sea level, and produces some award-winning pinot noir as a result. Were you to follow the road further, past Lord’s, you’d get … nowhere. Between 1865 and 1880, work was begun on a road to connect McGregor to Greyton, on the other side of the Boesmanskloof Pass. They didn’t get very far (to put it mildly) before running out of money, and though an attempt was made in the ’20s to revive the project, it has never been completed. To leave McGregor, you need to do an about-face and head back the way you came, down Voortrekker and along the mountain-flanked road to Robertson. It’s a delightful notion, really, that road to nowhere, and one so fitting with this shy yet bountiful town. McGregor is the end of the road – at one and the same time a welcoming hearth and an invitation to wander off the beaten path in search of something a little different. If you’re feeling energetic, there is a footpath leading from the unfinished road to a lovely little waterfall, or you can hike the Boesmanskloof Pass over into Greyton. With a wine tasting behind us and rain on the horizon, we opt not to hike today. 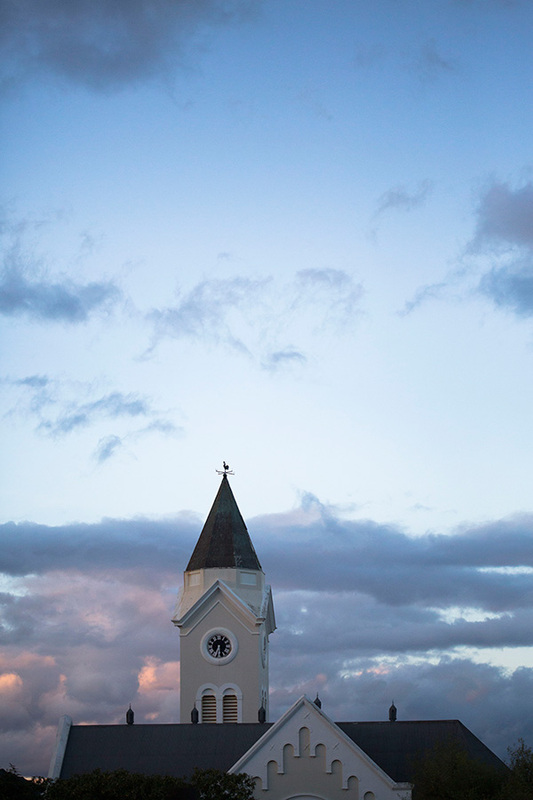 Heading back into town, one of the busiest and most central attractions is, somewhat incongruously, a spiritual haven. 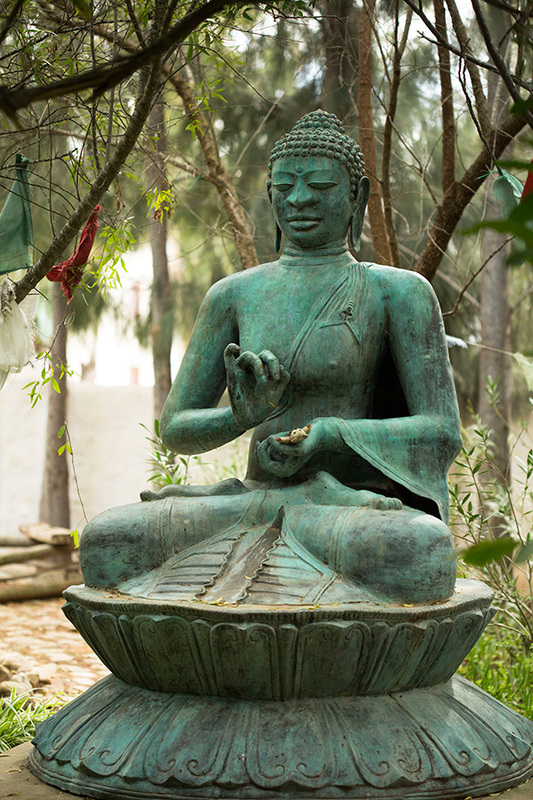 A lovely accommodation option from which to explore the area, Temenos is probably best known for its silent retreats and wellness options, from massage and yoga to the more esoteric jin shin jyutsu and rune reading. 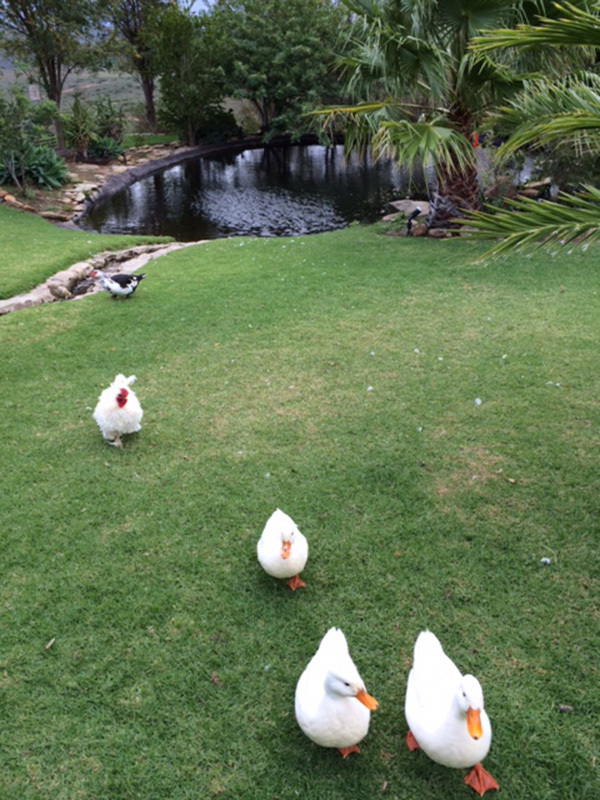 The estate occupies an entire block, most of which is dedicated to beautiful gardens of the meandering path variety. Interspersed in the lush foliage are benches for contemplation and – in typically open-minded Temenos fashion – places of worship for a variety of religions, including a tiny chapel with blue windows and purple walls called Temore, the inner temple of the heart. So much art and culture can be thirsty work, but if there’s one thing a small town does well, it’s a cosy pub, and McGregor’s Old Post Office doesn’t disappoint. There’s an impressive selection of whiskies (likely a nod to the town’s tenuous Scottish connections) but we opt instead for Saggy Stone, a fruity local craft brew. That’s the thing about McGregor. There are no bright lights, no aggressive marketing campaigns, no in-your-face tourism infrastructure. Half the time you can’t even find the town’s denizens. But as you scratch the surface, its layers – and its people – start to reveal themselves to you. If this is the road to nowhere, then nowhere’s where I want to be.